Archer Electrical hold an impressive range of professional accreditations so you can rest assured that all electrical installations and services are carried out to the highest of industry approved standards. 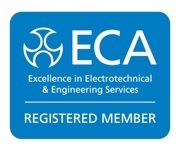 The ECA (Electrical Contractors Association) inspects and pre-qualifies the whole of the potential member's corporate and financial structure, its commercial operating procedures, business practices and its complete technical competence from reference manuals to finial complete installation. The work of ECA members is also covered by guarantees backed by insurers. Members of the Electrical Safety Register undergo a rigorous assessment process, covering a representative sample of our work, our premises, documentation, equipment, and the competence of our key supervisory staff. We are then re-assessed on a regular basis to ensure continued compliance. The Electrical Safety Register is the number one searchable database for electrical contractors across the UK. The Eurosafe UK CDM Competent Scheme is a health and safety assessment based on the requirements of the CDM Regulations 2007 and other workplace related legislation. It provides a detailed audit trail that proves the health and safety arrangements and procedures of each organisation have been independently assessed to ensure they are competent to perform their duties in a safe manner. Re-assessment is undertaken annually using criteria recognised by the HSE. The ISO 9001:2015 certification process identifies and records what an organisation does and how it does it, to ensure that its products or services conform to customer's expectations. Most companies attain ISO certification as an internationally recognised standard that drives efficiencies within a business, quality certification is now an essential Company Accreditation for maintaining sustained growth in a competitive market. Higher value customers, who have quality management systems in place, will often demand similar certification from their supply chain partners. 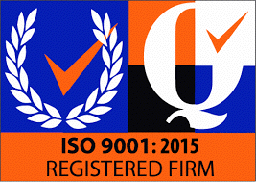 Our ISO 9001 Quality Management Certification tells our customers, prospects and suppliers that we have a logical and documented management system. ConstructionLine is a Government-run scheme, which collects, assesses and monitors your company information. It is the largest pre-qualification database in the UK and the UK's leading procurement and supply chain management service. ConstructionLine is used by a lot of larger companies / contractors to pre-qualify your business and your ability to carry out a project. As part of our Gold Constructionline membership we are awarded with Acclaim Accreditation, which supported by the Health and Safety Executive and universally accepted in public and private sector procurement, providing a winning formula with 28 Years of Excellence in Health and Safety. A Member of Safety Systems in Procurement ensuring a comprehensive ‘Gateway Review’ to ensure all of the member’s information is appropriate to the Acclaim health and safety assessment. Archer Electrical beat off major competition to be announced as the winner of Best Client / Contractor Partnership Award 2017 for our longstanding partnering with Lloyds Pharmacy The ECA Industry Awards recognise the accomplishments of ECA Registered Members and wider industry representatives across the electrotechnical and engineering services trade. Finalists for the 2016 Retail Interior Awards for ‘Best Lighting and Fixturing’ our installation for the £4Million refurbishment of John Bell & Croyden helped take the central London pharmacy to a modern and distinctive world-class health and wellbeing destination.